On July 20th, 2017, Sophia University and APIC held a joint environmental seminar. Based on the MoU (memorandum of understanding) signed between the two organizations, this is the fifth of such seminar to be held thus far, with seminars held in Palau, Jamaica, and the Marshall Islands preceding. 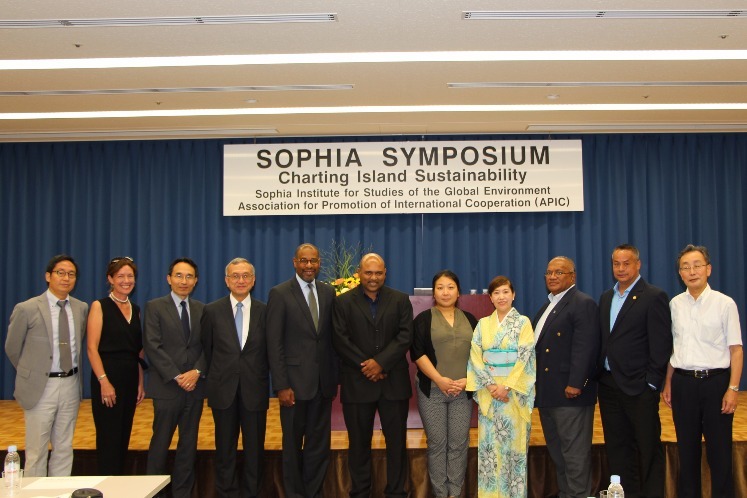 The title of the symposium was “Charting Island Sustainability, Interactive Dialogue with Experts from the Caribbean, Micronesia and Japan”. Three guest speakers gave a presentation at the symposium. The speakers were Micronesia Conservation Trust (MCT) executive director Mr. Willy Kostka, University of the West Indies (UWI) centre for marine sciences Dr. Dayne Buddo, and Ms. Yoko Ebisawa from the United Nations Development Program (UNDP) Barbados and Eastern Caribbean Regional Office and manager of the Japan-Caribbean Climate Change Partnership program. Professor Anne McDonald and Professor Akemi Ori from Sophia University also gave presentations. During the first half of each presentation, the guest speaker talked about his or her specialty, and following the presentation fielded questions from the audience. 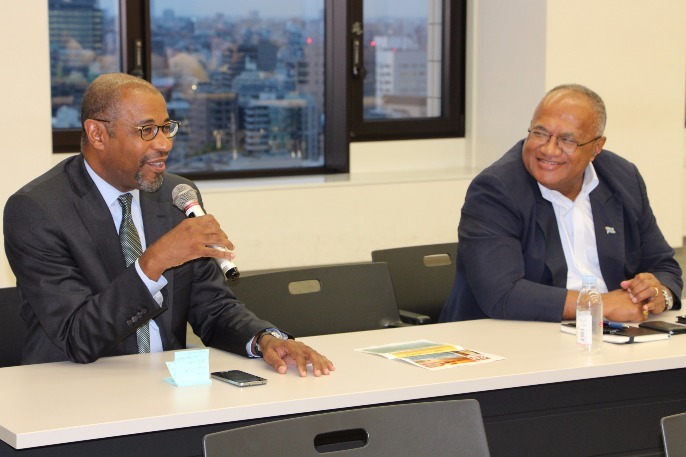 Approximately 50 people participated in this time's seminar, including Ambassador Allicock of Jamaica, and Ambassador Mataitoga of the Republic of Fiji. 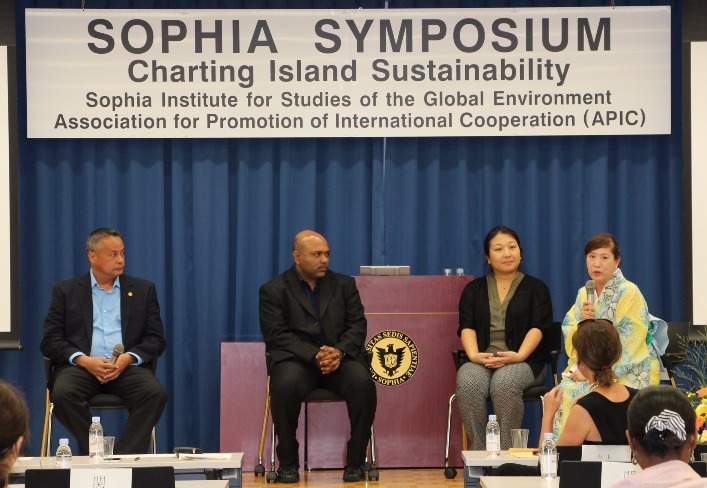 Many students from Sophia's graduate school program participated in the seminar, actively engaging and asking questions to the speakers. 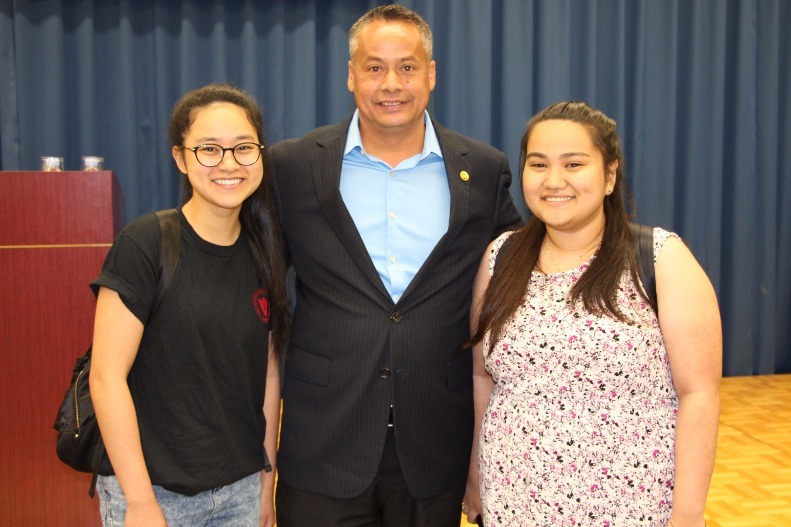 Xavier exchange students Mary Mori and Risa Oue also participated. Towards the end of the seminar, Ambassadors Allicock and Mataitoga left students with the message “environmental problems are not limited to the talk of experts; we want students and individuals to have concern for environmental problems and do what is possible to help solve these problems”.